The Red Beam Garage C is now offering Free EV Charging and affordable parking for T.F. Green Airport for travelers who park with us while they’re away. 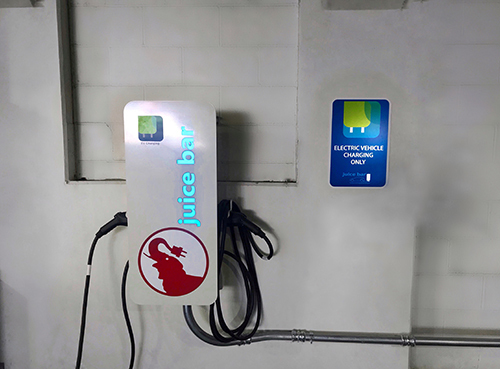 Garage C features the Juice Bar™ electric vehicle charging station as well as Tesla destination chargers. Garage C now has 12 Telsa destination charging station installed. These destination chargers are ideal for use while you are at your destination. When you arrive back from your trip, your car will be waiting for you, fully charged and ready for your journey home. Tesla’s will also charge with the the Juice Bar™ charging stations, as long as you provide your adapter for charging.